Review of: London Explorer Pass Review 2018: Is It Worth It? What is the London Explorer Pass? What’s the Difference Between the London Explorer Pass and the London Pass? Who Should Buy the London Explorer Pass? Who Should Skip the London Explorer Pass? London Explorer Pass Review: Is It Worth It? Is the London Explorer Pass worth it? This London Explorer Pass review explains how it works and considers whether it's a good deal for your travel plans. Is the London Explorer Pass worth it? In this London Explorer Pass review, we’ll discuss how it works, consider the price, and determine whether it’s a good deal for you. Enjoy! I’ve said it before and I’ll say it again: London is one of my favorite cities in the world. The city’s energy is nothing less than contagious. From Piccadilly Circus to Knotting Hill, you can always find something interesting going on in the U.K.’s capital city. If you’re a history nut like I am, you’re gonna love London. Filled with the stories of famous (and infamous) kings and queens, you’ll find dozens of the world’s most famous castles and churches scattered in and around the city. Some of my personal favorites include Hampton Court Palace, The Tower of London, and Westminster Abbey. It’s no secret, though, that London is one of the most expensive cities in the world. Before booking your London itinerary, it’s smart to look for ways to save. By packaging 20 of the city’s top attractions at a reduced rate, the new London Explorer Pass seeks to help you save money in London. But is the London Explorer Pass worth it? Let’s find out! Please Note: This London Explorer Pass review has been updated to reflect the most current attraction information and recent price reduction for the 2019 travel season. Should you purchase a pass after clicking through our links, we do receive a small referral fee. Thanks in advance! The London Explorer Pass is a sightseeing card that bundles 20 of London’s best attractions for a discounted price. We’ve discussed several of our favorite attractions passes before, however, the London Explorer Pass works differently than most of the other passes we’ve covered. While travel cards like the New York City Pass offer unlimited sightseeing for a predetermined number of days, pricing for the London Explorer Pass is based on the number of sites you wish to visit. Although you can pick and choose between any of the 20 attractions included on the pass, you are limited to visiting 3, 5, or 7 of those sites while using the card. Like most sightseeing passes, simply choose where you’d like to visit and present your card upon entry. Regardless of which “size” pass you select, the London Explorer Pass is valid for 30 days after your first use of the card. Please note that the prices listed are current as of February 6, 2019. You can find a complete list of London Explorer Pass attractions here. As you can see, the London Explorer Pass is definitely worth considering. This sightseeing card includes entry to several of the most expensive tourist attractions in all of London. So, if you’re planning to visit these attractions anyway, the London Explorer Pass will almost certainly save you money. For example, let’s say you purchase the 3-attraction pass for £59. You then used your pass for the London Eye, Madame Tussauds, and the Westminster Abbey. Doing so would save you £24 per pass. Adding the Hop-on Hop-off Bus Tour and The London Dungeons on a 5-attraction pass (which costs £89) would save you a whopping £58 per pass. Get 5% OFF London Explorer Passes: Club Thrifty readers can now get 5% off the London Explorer Pass! Simply use the link provided and enter “LX5OFF” at checkout. At first glance, the London Explorer Pass looks like a pretty good deal, right? This pass can definitely save you money, but it totally depends on your travel needs. Plus, for first-time visitors and those on a tighter schedule, I think there is an even better option out there: The London Pass. The London Pass is one of my favorite sightseeing passes of all time. In fact, you could make a case that the London Pass is the best sightseeing card available – in any market – period. These two pass are actually sister passes, so it’s not a matter of which pass is better; it’s a matter of which is better for you. 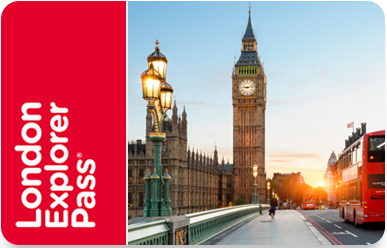 Like most sightseeing cards, the London Pass offers unlimited sightseeing based on the number of days for which you purchase the pass. Most importantly, it includes entry to over 80 of the city’s biggest attractions – including some “must-see” sites (like the Tower of London) that aren’t included on the Explorer Pass alone. If you’re somebody who loves sightseeing and wants the most bang for your buck, this is the way to go. Find our full review of the London Pass here. The London Explorer Pass is unique in that you have 30 days after your first use to complete your sightseeing visits. This is perfect for travelers whose plans include staying in London for short bursts (ie: 2 days in London, 7 days in Edinburgh, 2 days in London) or for those on an extended stay. It also allows you to take your time so you don’t feel rushed by trying to visit more than 2 sites a day. One of the most important benefits of using the London Explorer Pass is that you’re almost certain to save money. The pass is so well conceived that it’s pretty hard to screw it up. 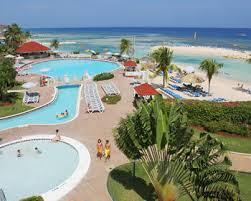 Provided that you visit the full number of attractions you paid for – and you do it within a 30-day window from the first time you use it – you should save money based on the retail price of each attraction. London has some of the most famous tourist attractions in the world, and several of them are included on this card. While the London Pass includes more total attractions, many of the same sites can be found on the London Explorer Pass – including spots like Westminster Abbey, Hampton Court Palace, and St. Paul’s Cathedral. The London Explorer Pass even includes sites like the London Eye, which are not available on some other London sightseeing passes. Personally, I love the convenience of having a sightseeing card with me when I travel. I don’t have to find, purchase, and organize tickets when I’m planning the trip. Better yet, there is no waiting in long ticket lines at each attraction. Plus, I have the ability to change my sightseeing plans while I’m there. All I have to do is bring my sightseeing card to an included attraction, present it at the gate, and I’m good to go. I love them! London is huge city, and one of the best – and most iconic – ways to explore it is on a bus tour. It’s also a great way to get your bearings in the city. The 1-day HOHO bus tour offers 3 different routes and over 50 different stops for you to get on and off. You’ll dive by famous London landmarks like Buckingham Palace, Piccadilly Circus, Trafalgar Square, London Bridge and more. In addition to English, you can enjoy audio commentary in 12 different languages while you ride. Buses run every 10 to 20 minutes on a daily basis, from 8:30 A.M. to 6:00 P.M.
Thames River Cruise – The Thames River Cruise gives you a chance to see London from a different angle. There are 4 different docks where you can hop on or off, and your ticket is good for 24 hours. Mobile Ticket & App – Purchase of the London Explorer Pass includes access to the free mobile app, including your ticket. Free Sightseeing Map – In addition to the mobile app, you’ll also receive a handy sightseeing map to help you find your way around London. Before I tell you what’s wrong with the pass, let me be clear: The London Explorer Pass is a pretty darn good multi-attraction pass that could well suit your needs. However, as I mentioned previously, if you want to pack a lot of sightseeing into a short amount of time, the same company makes a better pass. The London Explorer Pass does include several of my favorite sites in London. However, it leaves a couple of big attractions off the list. In my mind, you can’t visit London without going to the Tower of London. As a history lover, this is probably the most important place to visit in the whole city – rivaled only by Westminster Abbey. In my mind, the history of The Tower is the history of London… and really England in general. Unfortunately, it isn’t included on the London Explorer Pass. Also missing from the London Explorer Pass is entry to Windsor Castle, another important site near London. This castle serves as the Queen’s official residence (when not in London) and as the final resting place for several kings and queens, including the infamous Henry VIII. Return visitors to London – If you’ve been to London before and you’ve already seen most of the major sites, the London Explorer Pass is a good way to pick and choose a few you may want to see again. Since there is a 30-day window, you can spread your sightseeing over several days if you’d like. 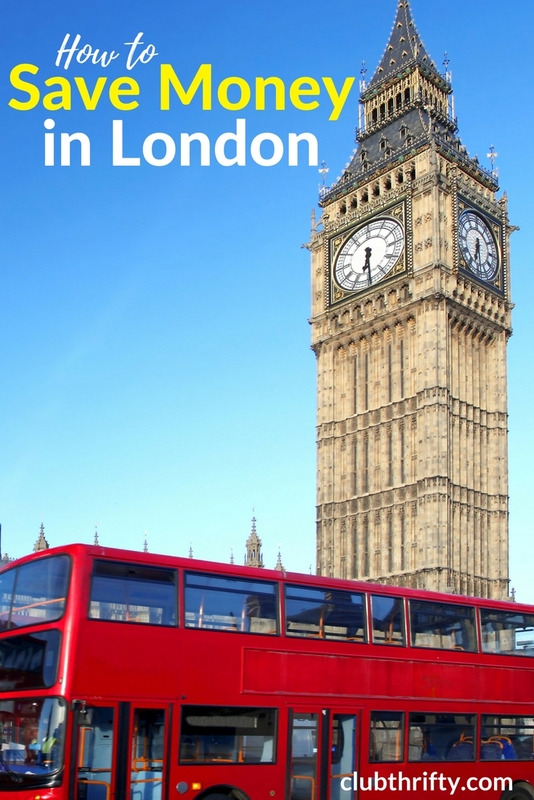 Travelers visiting one site a day (or less) – If you want to visit multiple sites during your visit but will visit less than 2 sites a day, the London Explorer Pass is for you! You’ll get to take your time and save money while you do it. Those visiting sites not included on the London Pass – While there is some overlap, the London Explorer pass includes a few sites that are not available on its sister pass. 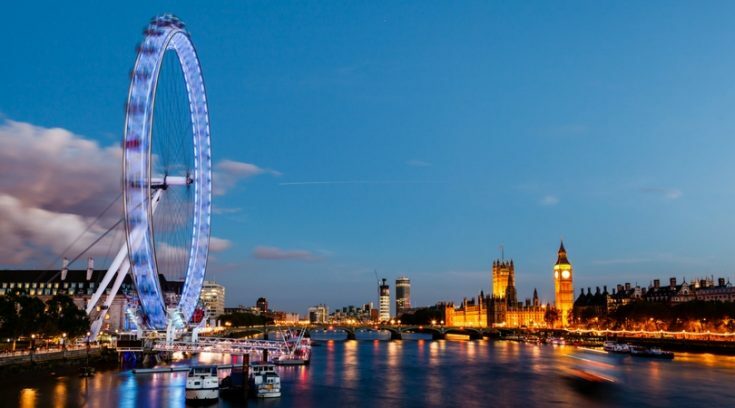 If the London Eye and Madam Tussauds are some of your “must-dos,” then the Explorer Pass may be right for you. 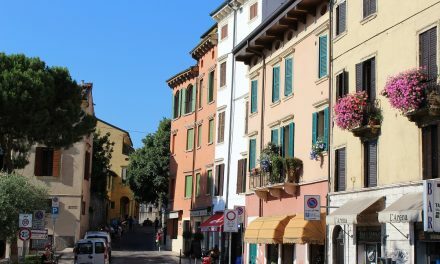 Travelers splitting time between cities – If you plan to split your trip to the U.K. between several cities, the London Explorer Pass is a good option. With the 30-day use window, you can activate your pass upon arrival, head to your other stops, then resume sightseeing upon your return to London. 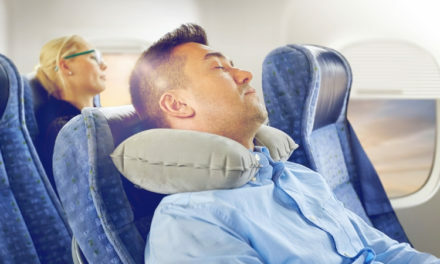 Slow travelers and those on extended visits – Those making extended visits to London (more than a week) and other slow travelers may find the London Explorer Pass more economical than other passes. Again, you can visit multiple sites but at a much slower pace. Castle lovers – If you love castles, you’re probably not gonna love this pass. Although Hampton Court Palace is included, Windsor Castle and the Tower of London are not. 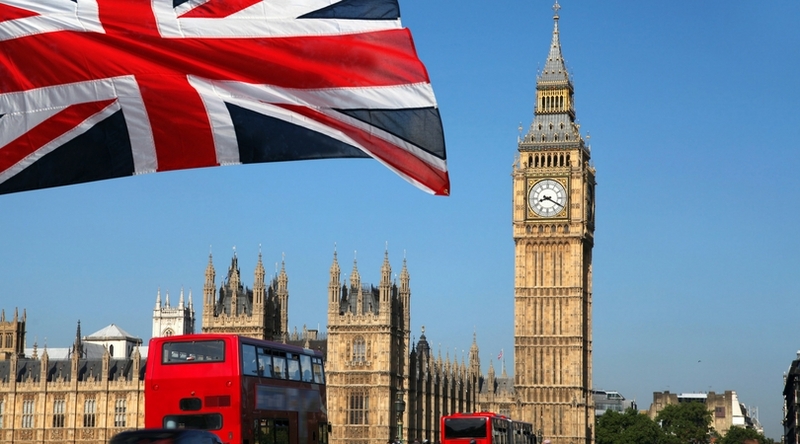 First-time visitors – Most travelers want to pack as much sightseeing as possible into their first visit to London. If this describes you, the London Pass will probably provide you with more value. Heavy sightseers – Those visiting 2 or more sites a day will probably find the London Pass to be the better fit. Take your time. – The biggest benefit of the London Explorer Pass is that you have 30 days to use it. Take your time and don’t rush through these sites. Visit one or two sites a day and the pass will pay off. Use all of the attractions. – The London Explorer Pass bundles admission fees for 3, 5, or 7 included attractions of your choosing. Although you’ll pay less than you would at the door, you could lose money if you don’t visit the number of attractions you paid for. Combine it with a London Pass. – If you’ll be in London for 4 days or more, you may want to consider combining the London Explorer Pass with a 3-Day London Pass. That way, admission to the Tower of London, Windsor Castle, and about 50 other attractions will still be covered. You can then use your London Explorer Pass to ride the London Eye, wander through Madame Tussauds wax museum, and more. Purchase a separate ticket for The Tower. – Have I mentioned that you need to see the Tower of London? Seriously, it’s not just one of the best sites in London; it’s one of the best sites in the world. If the London Explorer Pass is a good fit BUT lack of access to The Tower is holding you back, simply buy a separate ticket! Getting the London Explorer Pass is super simple. The best way to purchase your London Explorer Pass is online. Follow the link to get yours now. There are three ways to collect your pass after purchase. First, you can have your pass physically shipped to destinations worldwide using the standard shipping option. This costs roughly £8.00 (about $10.50 USD). Second, the free mobile app is available to use in place of a physical copy of the pass. (This is a nice option, but you won’t have an actual card in your hand.) 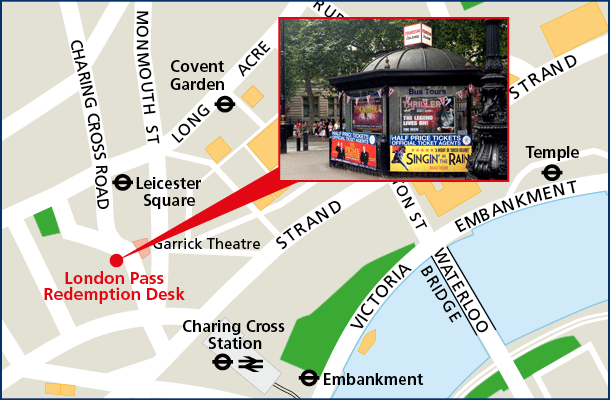 Finally, you can retrieve your pass at the London Explorer Pass Redemption Desk. This option is also free. To retrieve your pass in person, make your way to the London Explorer Pass Redemption Desk located at 11a Charing Cross Road. That’s about a 2-minute walk from the Leicester Square subway station. Take Exit #1 to leave the subway station, turn left, walk past Wyndham’s Theatre, and veer slightly right at the fork, heading toward Trafalgar Square. You’ll see a ticket information booth across from the Garrick Theatre. The office is downstairs. So, is the London Explorer Pass worth it? As with all sightseeing passes, the answer depends on how you use it. If you like to take your time sightseeing and only plan on visiting one or two sites a day, then the London Explorer Pass is probably a good fit. Likewise, if you plan to visit several spots in the U.K. and are splitting up your stays in London, then this pass may be for you. The London Explorer Pass also boasts several attractions not found on its sister pass, making it attractive for those wanting to ride the London Eye or visit Madame Tussauds wax museum. Of course, there are a few drawbacks. As we’ve mentioned, entry to the Tower of London and Windsor Castle is not available on the London Explorer Pass. However, if the pass is otherwise a good fit, you may wish to buy both the Explorer Pass and the London Pass. You could also purchase separate tickets, albeit not at a discount, to visit sites not included with the London Explorer Pass. Regardless of how you look at it, the London Explorer Pass should save you money. Provided you visit the number of attractions you paid for, its hard to see a scenario where you don’t come out ahead. Thanks so much for reading our London Explorer Pass review. Don’t forget, we can also help you save money by creating a free personalized travel rewards plan for your trip to London. Follow the link to get started. Above all, have a great time in London. Until next time, happy traveling! 5% Off London Explorer Passes – Follow this link and get 5% off all London Explorer Passes! Be sure to enter the code “LX5OFF” at checkout. What do you think of the London Explorer Pass? Let us know in the comments below! I see no mention of tours. If one purchases this pass, you get entry into the sites but can you then easily book a tour?